With art critics and headlines urging you to see the major shows throughout the year—“David Hockney’s Tate Britain retrospective demands to be seen”, said the Telegraph—what many writers forget is that, for the average person, the exhibition experience can be very different to that of the critic. The critic will go on a press day with other journalists, often get a tour from the curator explaining the show, and there will be no hustle and bustle, no queuing and no paying for tickets. The rising cost of attending exhibitions has even been proposed as one of the main reasons for a recent decline in museum-going across the UK. So what does it cost Joe or Josephine Bloggs? If a single adult paid full price to visit the top ten shows last year in London, on a weekend, they would shell out £166.50, from the cheapest ticket at £12 for Hokusai at the British Museum, to the most expensive, £24, for Pink Floyd at the Victoria and Albert museum. A handful of museums operate dynamic pricing so that the latter went up in the final week to a whopping £30 for a single ticket. And how about Joe Schmoe in New York? Visiting all ten of the top shows individually last year would cost about the same as in London: £168 ($234). However, for most museums in the city, you pay one fee to enter and have access to all its exhibitions and permanent collections. The full price at all top ten show museums was $25, except for the Metropolitan Museum, which operated a pay-what-you-wish system until 1 March this year (and the average suggested donation visitors gave was $9). It now charges out-of-town visitors $25, while locals can still pay what they wish, so tourists looking for a free ride will need to work on their Noo Yawk accent. 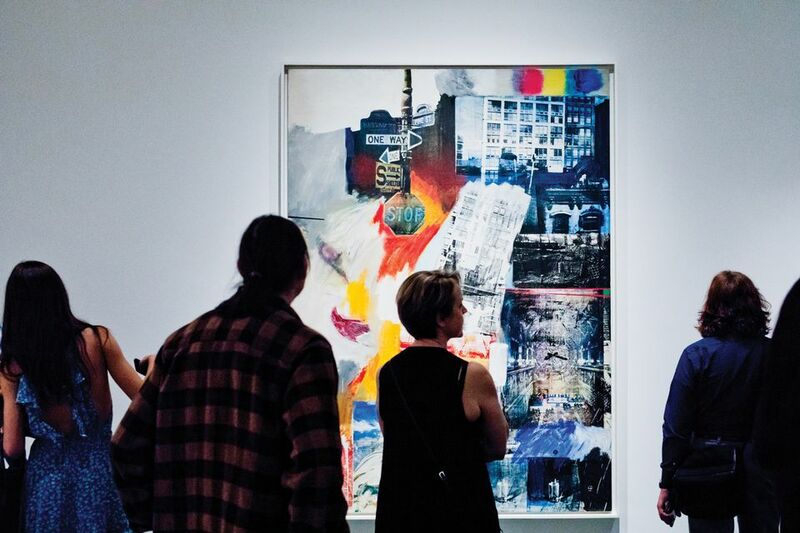 The above calculation assumes that each show was seen during separate visits to each museum, but the dates of some of the exhibitions overlap so they could have been seen on the same day. But both cities compare unfavourably to visiting the top shows in Paris. Madame Tout-le-monde would have to pay £111 (€126) last year—a third cheaper. The Parisian institutions run a similar model to the US, where you pay a single entry fee for both museum and shows. These comparisons exclude travel, paying for a family or, of course, the obligatory cup of coffee (café au lait) and slice of cake to recover from elbowing visitors out of the way. All the museums offer concession tickets (for students, seniors, etc) and most run membership schemes that allow you to take a guest but are only worth it if you make multiple visits throughout the year. So what is the cheapest way to see all the top shows? Although the pay is not great, become an art journalist.